When Hurricane Harvey hit, Operations Manager, Ben Uzialko knew he had to help. Thinking of ways to raise money, Ben decided to have a fundraiser where people can donate money to dress down at work. 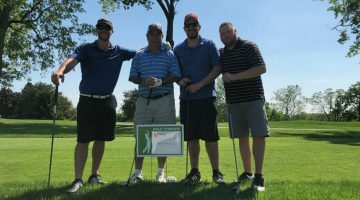 Employees from our Wilkes-Barre, Hazleton, Shamokin and Tamaqua offices were able to purchase a $5 voucher to dress for one day, or $20 for the whole week, raising a total of $790! When Co-Owners John and Tina Dowd heard about the fundraiser, they knew they wanted to contribute too, and decided they would match the amount raised bringing the total to $1,580! 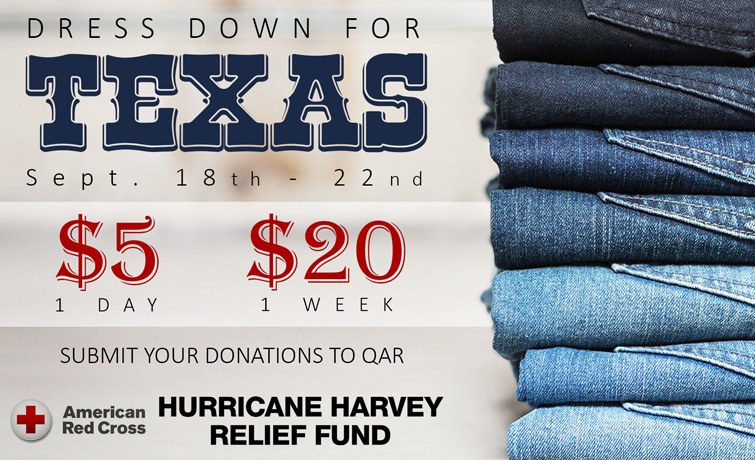 All funds raised will be sent directly to the American Red Cross. 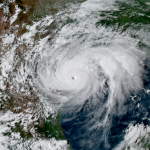 Hurricane Harvey was a category 4, extremely destructive Atlantic hurricane which was the first major hurricane to make landfall in the United States in 12 years. In a four-day period, many areas received more than 40 inches of rain causing catastrophic flooding. With peak accumulations of 64.58 in., Harvey is the wettest tropical cyclone on record in the United States, dumping an estimated 27 trillion gallons of rain over Texas and Louisiana during a 6-day period. The resulting floods inundated hundreds of thousands of homes, displaced more than 30,000 people, and prompted more than 17,000 rescues. In an additional effort to help, Sundance Vacations has offered all available units to the Red Cross for hurricane victims to stay at for a week or two at no cost. Whether it is providing a hot meal to a family, support for current military and veterans, or collecting blood, you can be sure that the American Red Cross will be involved in helping those in need. The American National Red Cross is registered as a 501(c)(3) non-profit organization. Contributions to the American National Red Cross are tax-deductible to the extent permitted by law. The Red Cross’ tax identification number is 53-0196605. Sundance Vacations is a proud supporter of the American Red Cross of Northeast PA! For more information on the American Red Cross, check out their page on the Sundance Vacations charity website. 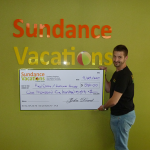 View all charities Sundance Vacations Wilkes-Barre, Hazleton, Shamokin and Tamaqua offices worked with.